Afternoon practices always begin the day after Memorial Day. Morning Practices begin following the last day of school, but will be announced via multiple outlets. Please select either one hour afternoon practice session that is convenient for your child to attend. Afternoon practices always begin the day after Memorial Day. Morning Practices begin following the last day of school, but will be announced via multiple outlets. 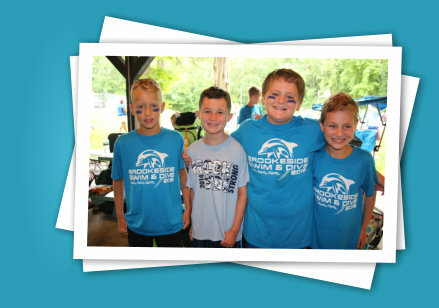 The Brookside Dolphins are a member of the Tri-County Swimming Pool Association (TCSPA). 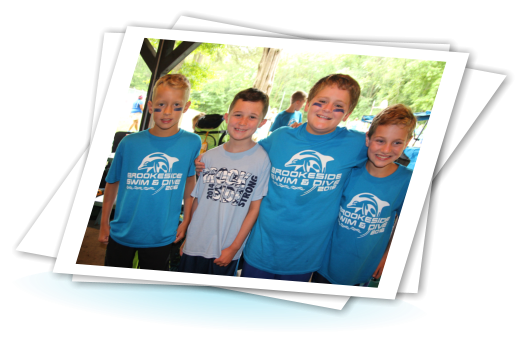 The TCSPA is composed of 36 summer swim clubs in the Burlington, Camden and Gloucester Counties of New Jersey, serving over 4,000 young swimmers and their families. Please be advised that all those who wish to join the swim and dive team must be members at Brookside before joining the team. 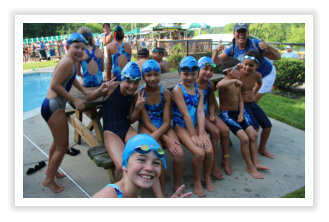 The Brookside Swim Team coaches and parents work hard to develop not only quality swimmers, but quality individuals. 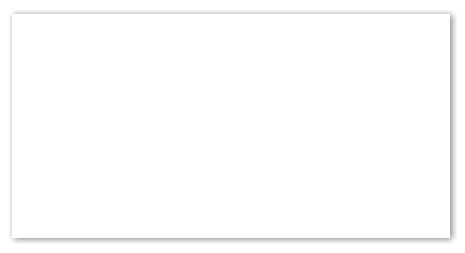 Traits such as perseverance, teamwork, and responsibility are emphasized. The best part, by far, though is the many friends swimmers make and maintain from many different towns throughout the years. These friendships are enhanced each year during many team socials, i.e. ice cream and pizza parties, Buddy Bowling, pasta lunches and pancake breakfasts. The season culminates with the Team Banquet which is a combination of dinner, dancing, awards, and a slide show. Brookside Diving Team is a member of the South Jersey Diving Association. Our divers have worked to achieve great success both as novice divers and Junior Olympic divers at the South Jesrey Diving Championships. Coach Dave and Coach Sherry ensure that the divers are learning and improving, but never lose focus that they are children and need to have fun too!